Everything in the universe is in vibration. 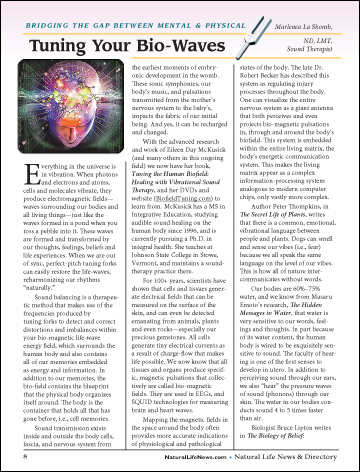 When photons and electrons and atoms, cells and molecules vibrate, they produce electromagnetic fields—waves surrounding our bodies and all living things—just like the waves formed in a pond when you toss a pebble into it. These waves are formed and transformed by our thoughts, feelings, beliefs and life experiences.